As the mother of a seven-year-old child, my day often begins with my son sidling up to my bedside and asking if I will log him on to the computer. When I mutter “No” and roll over, he climbs up and pleads, “What about my DSI, then? Can I play DSI?” For anyone who’s not up on the latest children’s games, this is a portable videogame player that is the bane of many parents who want their children to live healthy, active lives. Of course any suggestion that he go read a book is met with complaint. It’s tough for a book to compete with the excitement and lure of video games. And yet a wellcrafted story—even a Buddhist one—can still capture his imagination, and heart. I began reading Buddhist storybooks to my son when he was about four. Over the years we’ve read some wonderful ones that have gently influenced how he sees the world and how he deals with the big and challenging emotions that go along with being a kid. 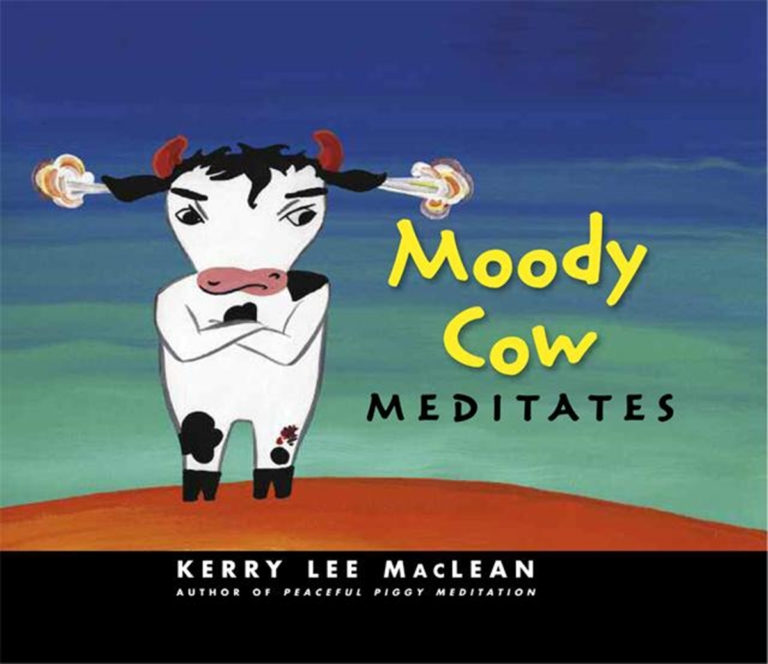 Moody Cow Meditates by Kerry Lee MacLean (Wisdom) is one such story, featuring a boy named Peter who is having a very bad day. First he has a scary dream; then his sister draws on his brand-new skateboard; then he misses the bus and has to ride his bike in the snow; then he wipes out on his bike coming home, and on it goes. As the day gets worse, so does Peter’s mood, and before long all the kids are calling him Moody Cow (the characters, including Peter, are depicted as cows, making the name even more apt and humorous). Eventually Peter’s grandfather drops by to help, introducing him to meditation using an ingenious mind jar. Peter puts a pinch of sparkles into a jar of water for every angry thought he has, naming each thought as he goes along. Once all of the angry thoughts are accounted for, his grandfather puts the lid back on the jar and shakes it up. Together they sit quietly watching the sparkles swirl around and slowly settle on the bottom. It’s a great way to introduce children to the practice of meditation, while also helping them become aware of their feelings. The author provides instructions at the end for making a mind jar, using water, glycerin, and liquid soap. 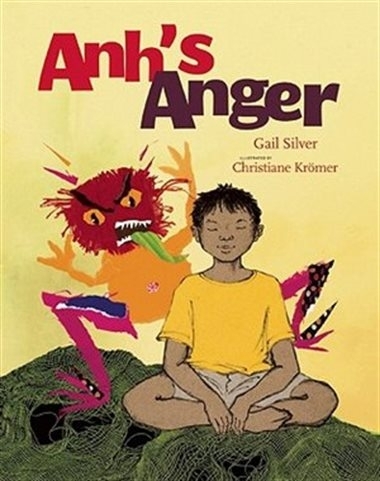 Anger is also the theme in Anh’s Anger, by Gail Silver (Parallax Press). Beautifully illustrated by Christiane Krömer, the story follows a grandfather and his five-year-old grandson Anh, who, like most children, doesn’t want to stop playing when it’s time for supper. After his grandfather calls him repeatedly to come eat, Anh has a meltdown and tells his grandfather he hates him. What’s instructive and heartening is the grandfather’s reaction. “You’re upset,” he says calmly. “Please go to your room and sit with your anger. I’ll come in when you’re calm and able to talk.” I’ve borrowed that line many times since I first read it. When Anh retreats to his bedroom, a redheaded monster appears who tells him he’s the boy’s anger. Though at first Anh is frightened by the monster, soon they begin to talk and play and dance, and finally to meditate. It’s a wonderful lesson in befriending and accepting all parts of ourselves, even the ugly, angry sides that we wish we could hide. It teaches children not to run away from strong emotions, but rather to stay with them and allow them to dissolve on their own. Some books influence how we think, while others like Samsara Dog have the ability to transform it. This story by Helen Manos (Kane/Miller Book Publishers) is about a dog that is reborn again and again until at last it attains enlightenment. It begins with the dog living on the streets. In this life, “Dog loved nobody. Dog trusted nobody.” Each successive life, the dog finds greater companionship and kindness, and each of his deaths is mourned more than the last. Finally the dog meets a boy living by the ocean and they become inseparable friends. At the end of the dog’s life, the boy thanks him for his great love, and the dog’s heart is filled with joy. He passes away peacefully, never to be reborn again into samsara, the realm of cyclical existence. It’s a moving story that’s beautifully told. If you’re not comfortable with the notion of rebirth, this book might not be for you. 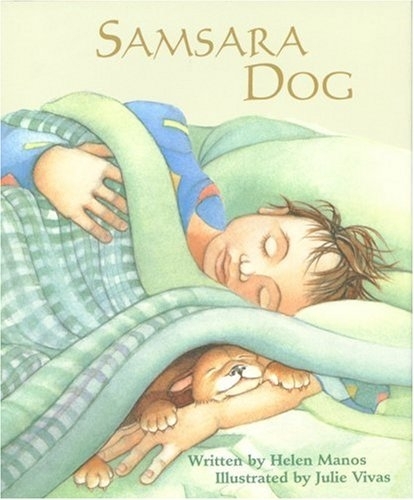 But if you’re open to it, and wish to help your child understand it, Samsara Dog is an invaluable tool. Jon J. Muth is the author of numerous Buddhist-inspired children’s books, such as Stone Soup, The Three Questions, Zen Shorts, and most recently, Zen Ghosts. 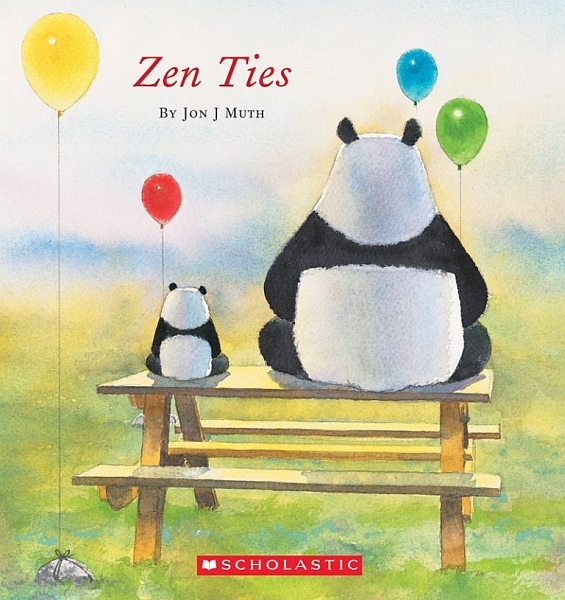 While my son and I have enjoyed all of these books together, our favorite Muth story is Zen Ties (Scholastic). 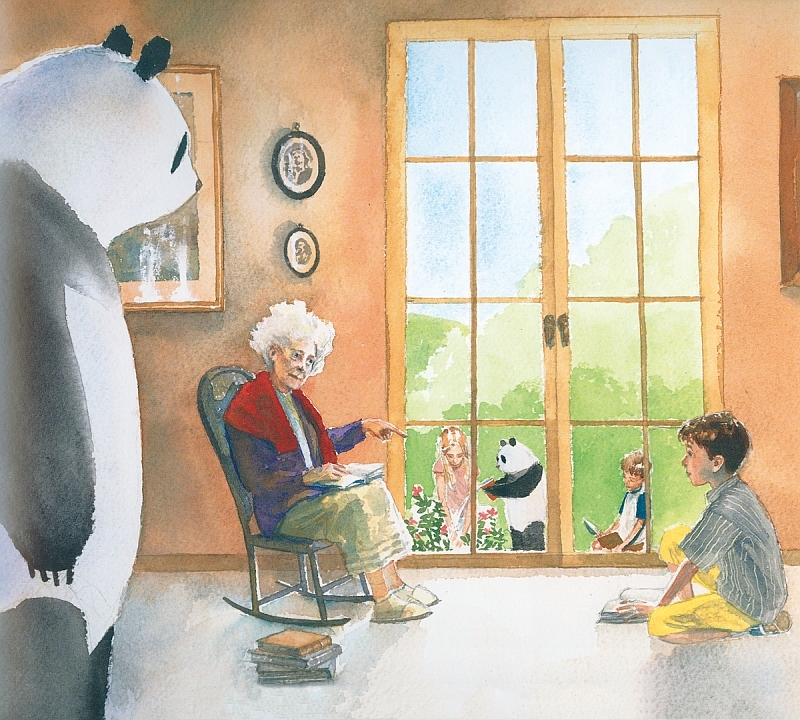 In Zen Ties, the wise and gentle panda Stillwater meets up with his young friends Addy, Michael, and Karl (these characters are also featured in Zen Shorts and Zen Ghosts). Stillwater asks the children to accompany him to the home of a retired schoolteacher named Miss Whitaker, a woman they fear and dislike. Despite their protests, Stillwater quickly puts the children to work making soup for the elderly woman and cleaning her house. Their kindness softens the normally crabby Miss Whitaker and she begins tutoring Michael for an upcoming spelling bee that he’s been worried about. As the story unfolds, it becomes clear that any animosity the children and Miss Whitaker once felt for each other was the result of misunderstanding and ignorance, and that only compassion can heal the divide. The story is punctuated by Stillwater’s young haiku-reciting nephew, Koo, who offers plenty of wisdom of his own. 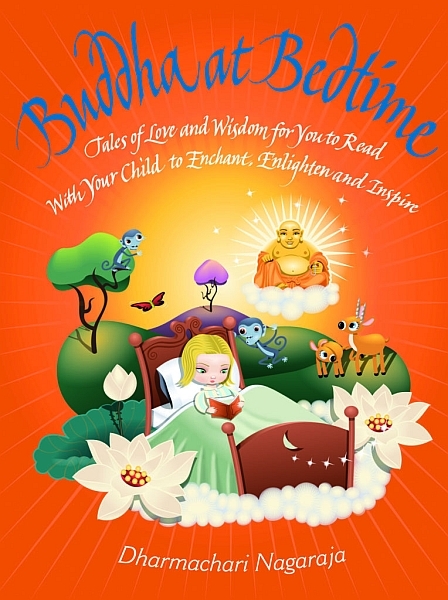 Buddha at Bedtime by British author Dharmachari Nagaraja (Duncan Baird Publishers) is a valuable resource as well as collection of Buddhist stories. It begins with a simple introduction to Buddhism and meditation for parents, along with a relaxation exercise that parents can do with their children before reading a story. I found the exercise helpful in settling my son, who is normally very active, retellings of traditional Jataka tales, said to be stories of the Buddha’s previous lives. Nagaraja admittedly takes considerable creative license in some of his retellings, but it serves him well. Each short story is compelling, transporting young readers to intriguing and often magical lands. The moral of each story is stated clearly in a summary teaching at the end. For example, in “The Prancing Peacock,” the pith teaching is “Sometimes it is tempting to show off to others and brag about our special qualities and achievements. A wise person is confident yet modest about their best traits and talents.” With twenty stories, there’s plenty of good bedtime reading (and rereading) here. 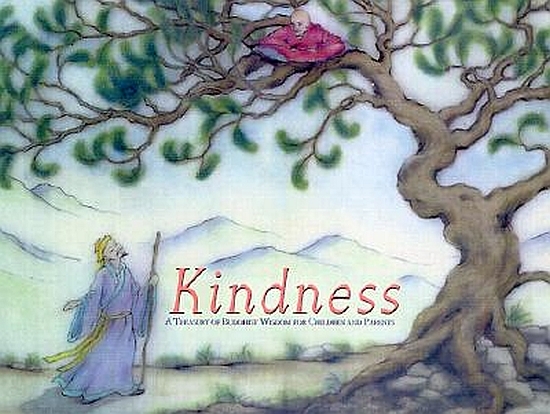 Author Sarah Conover also draws on the Jataka tales in her collection of Buddhist wisdom for children, Kindness (Skinner House Books). 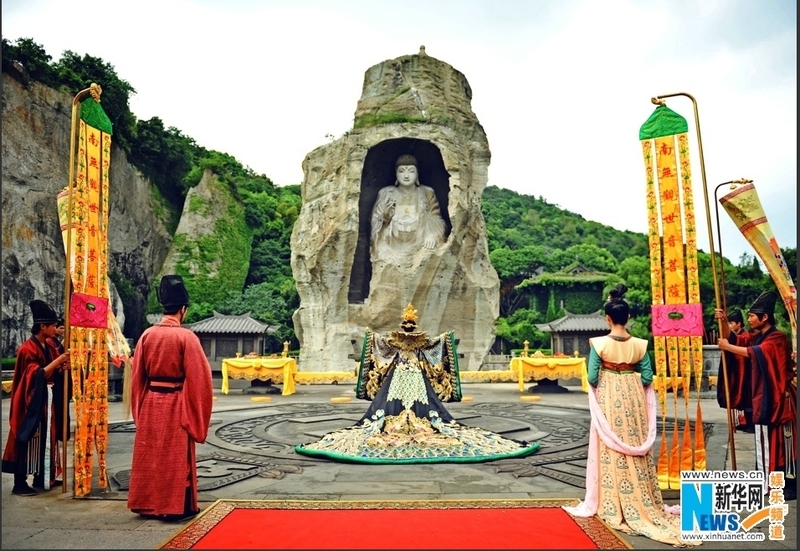 In addition, she incorporates traditional sayings, anecdotes, and teachings from the Mahayana school of Buddhism. My son and I didn’t find Conover’s collection as read-aloud friendly as Buddha at Bedtime, but it contains some real gems, such as “The Mustard Seed,” in which the Buddha teaches a mother whose child has just died that no one is free of suffering. There are important lessons to be learned in these stories, and while they’re more traditional and culturally foreign to many North American kids, they’re worth the effort. 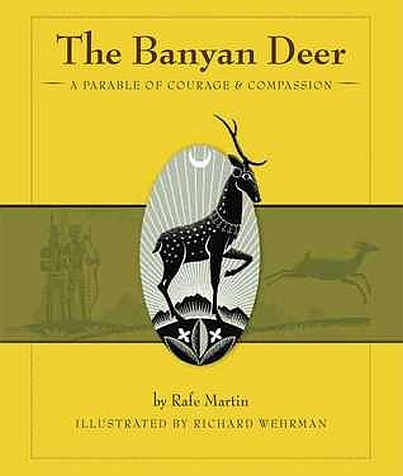 The Banyan Deer (Wisdom) by Rafe Martin, a gifted storyteller and awardwinning author, is the ultimate story of courage and compassion. Based on a Jataka tale by the same name, it tells the story of a brave deer who stands up to a king who loved to hunt. The Banyan deer and his herd are held in a stockade along with another herd, and each day one deer is to be killed for the king. The leaders of the herds realize that many deer are being injured in the panicked rush to evade the king and his hunters and decide it’s even at bedtime. The stories are Nagaraja’s best to hold a lottery to determine which deer will be killed each day. This works sadly but smoothly until one day a pregnant doe is selected to die. The compassion and bravery that the Banyan deer demonstrates in the face of this is truly remarkable, with wide-reaching consequences. In less capable hands, this story is instructive but hardly riveting, but in Martin’s it’s a page-turner. I don’t know what effect any of these books will have on my son in the long run. 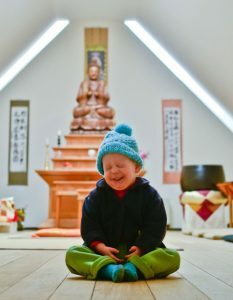 Will they encourage him to explore Buddhism as he gets older? Perhaps. In the short run, though, they have inspired some great questions and conversations and offered clues on how to work with challenging situations and emotions, which are never in short supply. It’s not just children who benefit from books like these either. Adults can also appreciate the profound teachings they present in clear, heartfelt terms. While my son would still pick a videogame over a book any day, I take heart in our nightly ritual of bedtime stories that allows us to symbolically bow to each other at the end of the day, and appreciate the journey we’re taking together.